Chalet, Condo - Ludlow, VT SouthFace Village is now offering quite possibly the most unique and exciting endeavor in the slopeside ski home market. Work with an architect and interior designer to create your perfect luxury ski home, with state-of-the-art kitchens and eco-friendly design. These wonderful chalet locations offer southern exposure, long-distance mountain views, access to all SouthFace Village amenities, instant access to the dedicated lift and SouthFace Village trail systems that will bring you home after a day of skiing and riding on Okemo Mountain, as well as 161 acres of protected wildlife habitat for snowshoeing and hiking. Permitted for up to five bedrooms, these residences also include a one-car attached garage as well as additional exterior spaces, perfect for hot tubbing under the stars. 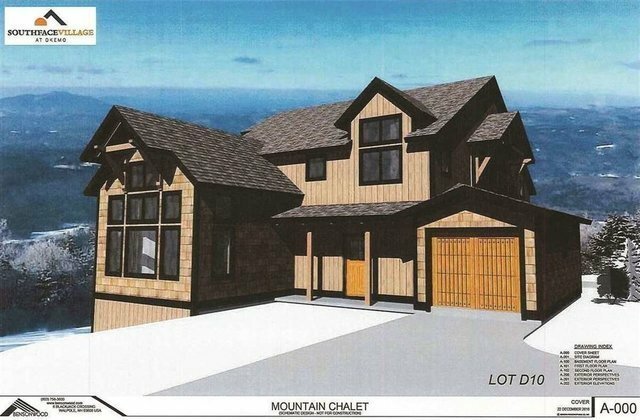 Mountain Chalets at SouthFace Village...your perfect ski home, designed to your specifications and customized to your taste. - SouthFace Village at Okemo Development Company, LLC is the Developer and a Sales Agent for SouthFace Village at Okemo. The photographs and representations included are for informational purposes only and are subject to change or may be withdrawn by the Developer at the Developer's discretion. The SouthFace Village at Okemo development is independent of Okemo Mountain Resort and its affiliated companies in all respects. A Consolidated Public Offering Statement for SouthFace Village at Okemo is available from the Developer.